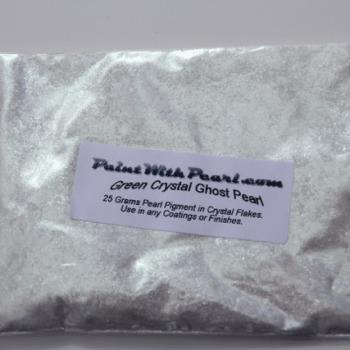 This 25 gram bag of Silver Satin Ghost Pearl powder is a great special effects pigment! Add it to clear in paint or powder-coating applications. Guaranteed to mix well with any clear paints or tinted candy paints. It has a temperature threshold of about 1600 degrees fahrenheit. Pearls are a very fine powder and will spray well through airbrushes, powder guns, and HVLP paint guns. This is very light, so it stays well mixed in paint without settling too fast in your gun, and can make great tinted clears for light to heavy effects (it’s your choice). One 25 gram bag treats from 2 to 4 quarts of clear. 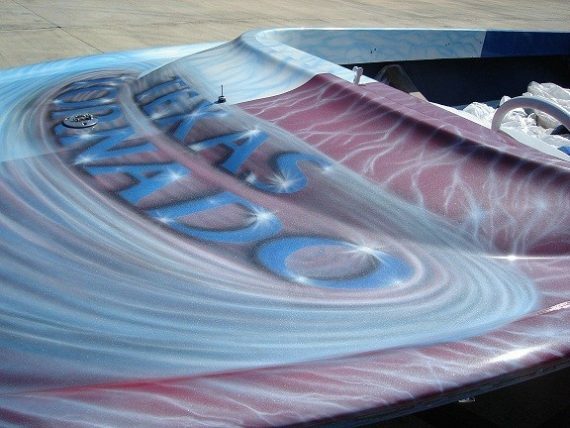 Our ghost pearls are what custom painters use to create those beautiful pearlescent effects that people see on many custom paint and even factory paint jobs. Newer cars and motorcycles can be seen with ghost pearl effects done in the factory, such as the Lamborghini orange paint with the beautiful gold pearl. 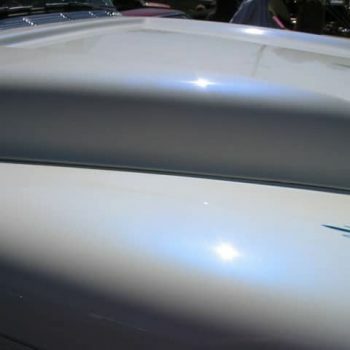 Simpler pearlescent white paints that we see on new Cadillacs or Infiniti cars, are achieved with a simple silver ghost pearl or gold ghost pearl applied over a white base coat. Turning a two-stage paint job into a three-stage paint job is the basic step in creating a quality Gold Ghost pearl paint. Super cool on white, orange, red, green, and many other colors! 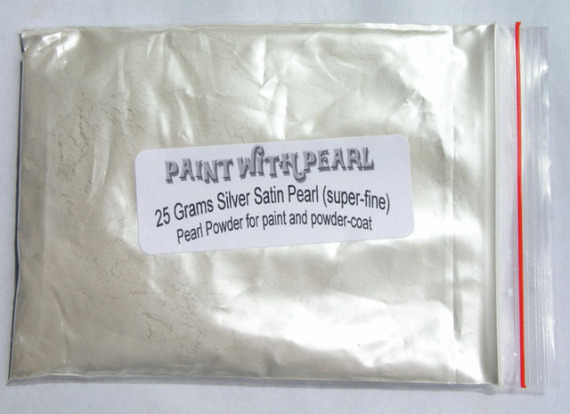 Silver Satin Ghost Pearl Works in Paint, Powder Coating, dip or other coatings, Concrete Sealer, Leather Paint and Polish, Furniture Oils, Faux Finish Glaze, Pottery Glaze, Fiberglass Gelcoat, plastics manufacturing, and much much more. Commonly used in hundreds of industries to create brilliant iridescent effects to many different types of coatings. Not only are all of our Ghost Pearls completely compatible with liquid wrap or any other coatings! We were the first to supply the dip companies with pigments. 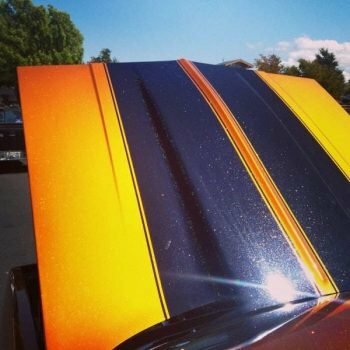 If you have any reservations about whether our products work in all other coatings, don’t! You should know that we were the pioneers who introduced Pearls to the world.